The weather continues to be lovely with blue sky, sunshine and 60 + degrees in early November. Most unusual and I love it. Today was the first Tuesday after the first Monday in November which has legally been the voting day since Congress made a law in 1845. This year is an “off year” meaning that it is not an election for Congressmen, Senators or President. That will be next year as many of you are aware. This year , there are a couple of governors being elected but mostly mayors and judges. Next year will be the late night TV watching for the final totals. This year the results will be tallied much sooner. 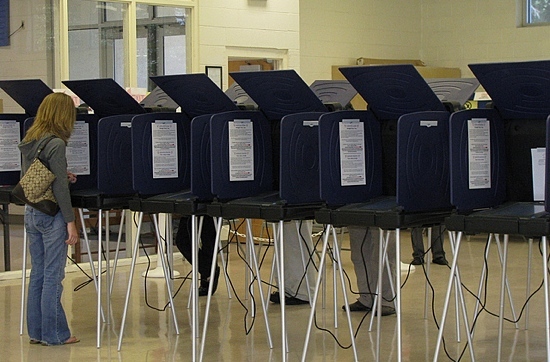 Though it seems less exciting, “off year ” elections are very important for budgets, quality of life, and taxes, locally. Since the day was so lovely, I decided to walk to my polling place which is about twice the distance I usually walk. I decided, I could do it ! And I did. On the way back home, I had an ‘ah ha’ moment. 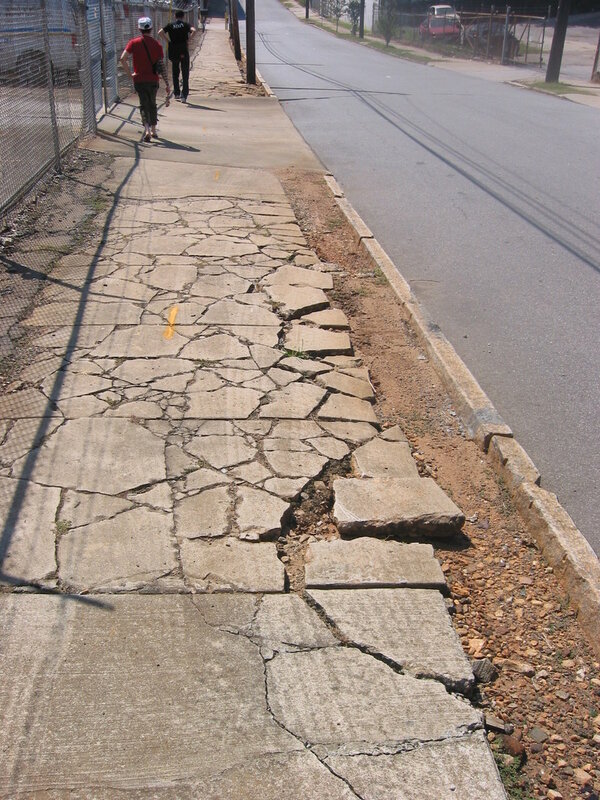 Look at these sidewalks. . . . It is a sidewalk though it resembles a jig saw puzzle ! 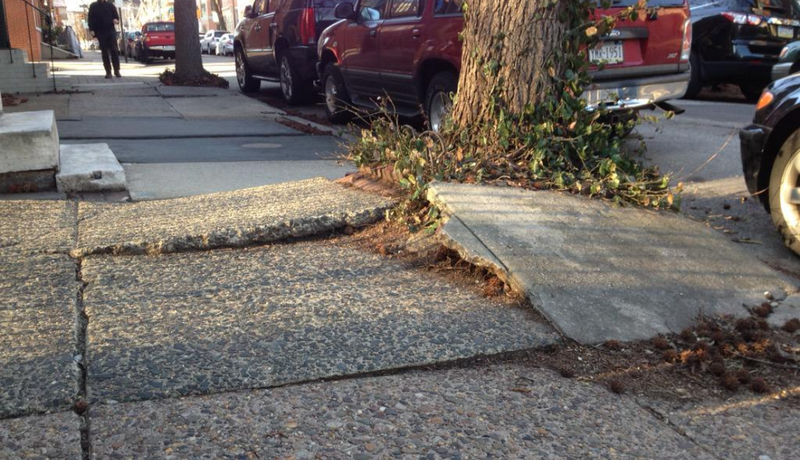 The roots of the trees are often very near the surface and press the sidewalk up as they expand. 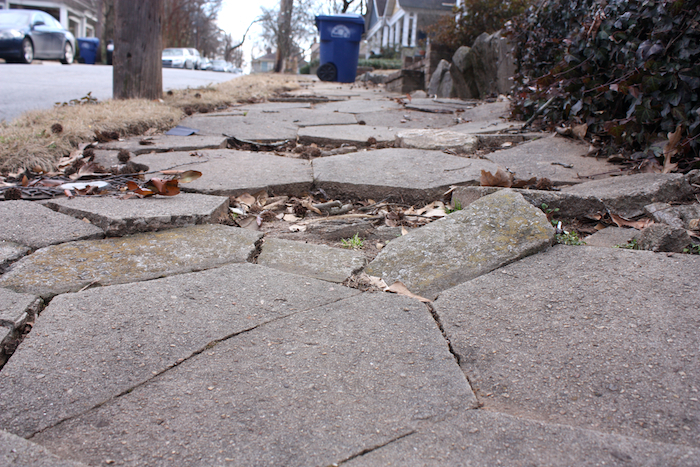 And as I am describing the sidewalks, I will mention the roads. Roads filled with potholes and cracked surfaces. David calls the roads of Troy worst than Mogadishu though that is just his imagination. We have never visited Somalia! This pothole will do a number on your tires and your alignment. You notice cars weaving back and fort trying to avoid these babies! 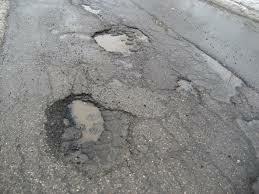 These are only avoided by very experienced pot hole dodgers! David and I usually think that the roads of Troy would be, by comparison, an insult to Mogadishu. If you know, let me know! I had a lovely walk, did my duty as a citizen and thought about my beloved India. . . .Somalia might be a great place, too, but I Love Incredible India! This entry was posted in India, Travel, Uncategorized, USA and tagged broken sidewalks, First Tuesday after first Monday of November, Off year election, potholes, vote. Bookmark the permalink.